B.SC. Nursing College in Punjab Post Basic (2Yrs) – What can be the reason for increasing nursing colleges worldwide? What are the different benefits of choosing Post Basic B.Sc. Nursing course? All these questions will be solved here and now. The nursing colleges are increasing as per the increasing requirement of nurses. But only some of them are being good at providing thorough knowledge and practical skills. Post Basic B.Sc. Nursing is the best career option for the one who is looking for a career in the nursing profession. Mata Sahib Kaur College of Nursing excels at making its students highly professional in the field. It is the best BSC nursing college in Punjab, Mohali, and Chandigarh. We are running our college operations under the guidelines of Indian Nursing Council (INC) and Punjab Nursing Registration Council (PNRC). There are many nursing courses at our college. For better future growth and bright career, Mata Sahib Kaur College of Nursing can help you out. We will train you for every possible situation occurring in the future. The list of top post B.Sc. nursing colleges in Mohali, Punjab contains our name at the top. The nursing profession is the most respectful job and a step towards working for humanity. PB B.Sc. 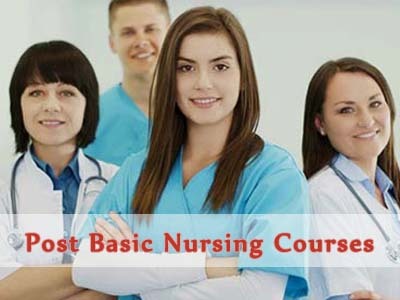 Nursing is a nursing course which will make you more professional and skilled in your future job. And you need to make a wise selection out of best post basic B.Sc. nursing colleges in Punjab Mohali Chandigarh of 2018-2019. B. Sc. nursing can be basic or can be post basic. The basic one is having the duration of 4 years. But when we talk about Post Basic course, its duration is of 2 years. You can do this course after pursuing your GNM course. This course will make you more competent at serving by providing promotive, preventive, curative and rehabilitative solutions to the patients in the community. Several nursing colleges are being set up in Punjab. Mata Sahib is proving itself the best in the sector. Many qualities of the college are making it the top nursing college in the Mohali, Chandigarh and Punjab region. What You Will Learn in PB B.Sc. Nursing Course? If you want to add some value to your nursing skills, PB B.Sc. Nursing can help you out better. Because it will enhance the skills more and the work opportunities will be more for you consequently. You can also opt for post basic B.Sc. nursing correspondence in Punjab. And if you are capable enough to get admission in the government college for post basic B.Sc. nursing in Punjab, you can explore more efficiently. There are many new things you will be able to learn during this course to make you more professional nurse. Here are some of them. Promotive, curative, preventive and rehabilitative services. Handling the patients after knowing its problem. Objectives and responsibilities of the nurse. Acknowledging the new advancement in the nursing profession. Better understanding of the all new concepts and practical things in the profession. Overall training to match the steps with every new technology and become more confident in your work. The post basic B.Sc. Nursing is a (2Yrs) degree programme for in-service nurses. The programme was launched in July 1994 and is recognized by the Indian Nursing Council (INC). There are Programme Study Centres, which are existing Colleges of Nursing, already offering such courses. The PB BSc Nursing is a two-year program. Advanced knowledge is rendered through classroom & clinical teachings and educational visits. The scope encompasses nursing educational institutions, clinical nursing and public health nursing in community settings. The one who is joining a nursing course must be a person with higher enthusiasm and hard work. The return will also come back the same way. Because it is quite obvious that enthusiasm and hard work is the key to success. Why did we add enthusiasm to the statement? Because only hard work cannot pay back, your interest and enthusiasm is also the one which decides your productivity. In addition, nursing needs a high level of enthusiasm towards the work. Here are some additional benefits of doing PB B.Sc. Nursing from a reputed college. Kindly go through them one by one. More capable of handling critical situations. Widening of work opportunities scope. A chance to work for humanity. The confidence of a higher level. Aforementioned is the information that the nursing colleges are many. But the course will not worth any more, if you are choosing a wrong college for nursing course. This will act as a foundation for a bright career. The better quality education and training you get, the ambiguities at the workplace will be less. The further paragraph will guide you for the best post basic nursing college near Chandigarh. Internship opportunities with best hospitals. Quality education by clearing theoretical concepts with practical examples and involvement. Therefore, making it a best Post Basic B.Sc. Nursing college in Punjab, Mohali, and Chandigarh. Rest all you will know after joining us and will feel pride in being a student of Mata Sahib Kaur College of Nursing.